Hailed as “A fabulous discovery” by the Toronto Star, Canadian soprano Allison Angelo is a talented and versatile young singer applauded on the operatic, recital and concert stage. Of particular note was Ms. Angelo’s starring role as Mabel Hubbard Bell in the July 2015 World Premiere of The Bells of Baddeck in Baddeck, Nova Scotia, the summer home of Alexander and Mabel Bell. Composed by Dean Burry to a libretto by Lorna MacDonald, the work celebrates the intriguing couple’s life and the creative inspiration he drew from the Maritime environment. Having received critical and popular acclaim in its inaugural season, The Bells of Baddeck will return to Cape Breton this summer, with Ms Angelo again in her starring role. 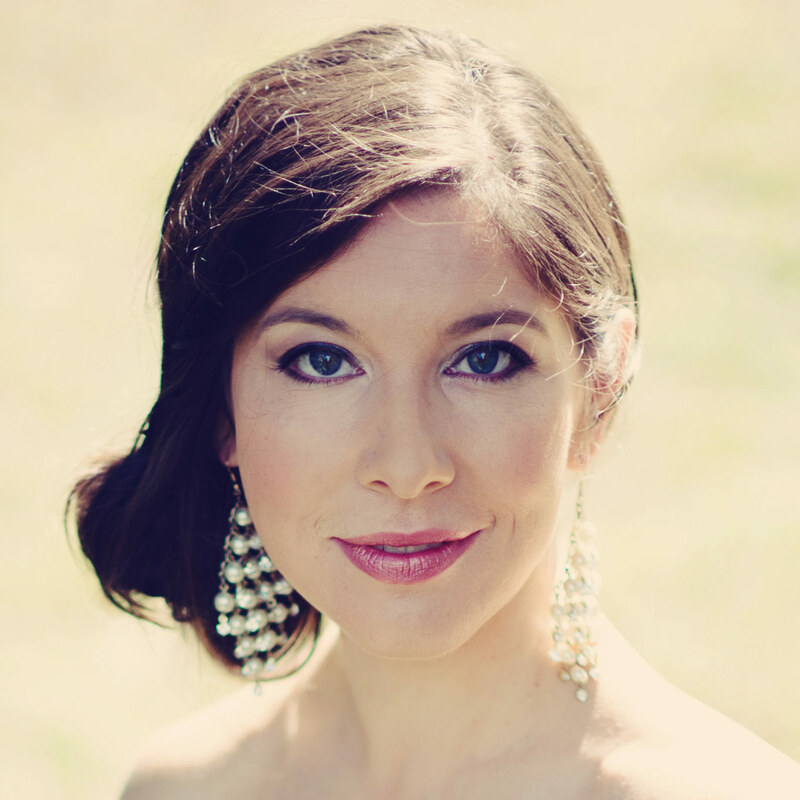 Also in her the 2015⁄2016 season, Ms. Angelo will be featured in the North American premiere of Salieri’s Falstaff with Kevin Mallon conducting the Aradia Ensemble for VOICEBOX: Opera in Concert, and returns to the Off Centre Music Salon Series for The Cocktail Epoque. She will also release her debut album, Moon Loves Its Light. Recent season highlights included Yum Yum in The Mikado for the Elora Festival, Messiah for the Victoria Symphony, Mozart’s Requiem with the Kingston Symphony, and guest appearances at The Scotia Festival of Music and the Mountain View Concert Series in Calgary. Other past engagements include Mozart’s Requiem with the Winnipeg Symphony, conducted by Jane Glover, Mahler’s Symphony No. 4 for Symphony Nova Scotia, ‘Best of Broadway’ for Chorus Niagara, and a recital for the Mooredale Concerts in Toronto. She has been Musician in Residence for Halifax’s St. Cecilia Concert Series and appeared as Atahentsic in Beckwith/Reaney’s Taptoo! for Toronto Operetta Theatre. A native of Nova Scotia, she debuted with the Toronto Symphony and has also appeared in Mozart’s Requiem for Symphony Nova Scotia and Messiah with the Edmonton Symphony and Vancouver Bach Choir. In the U.S., she sang with the Boston Pops at Symphony Hall under Keith Lockhart, and with the Tanglewood Festival Orchestra under Rafael Frühbeck de Burgos in Stravinski’s Pulcinella. She was featured in the world premiere of Schafer’s Children’s Crusade for Toronto’s Luminato Festival and participated in the workshop process for Vancouver Opera’s world premiere of Lillian Alling. An avid recitalist, Ms Angelo has been heard in concert with the Aldeburgh Connection, Off Centre Music Series, the Three Churches Series in Mahone Bay, and the Orpheus Choir of Toronto. In the world of operetta she appeared as the leading lady in the Jeunesses Musicales du Canada production of La veuve joyeuse and with Toronto Operetta Theatre as Juliette in The Count of Luxembourg and Kristal in The Bird Seller. In concert, she sang Rossini’s Petite messe solennelle with the University of Ottawa Orchestra & Choirs and was a guest artist at the Governor General’s Arts Awards Gala. Ms. Angelo has also been a Vocal Fellow at the prestigious Tanglewood Music Center. An alumna of Atelier Lyrique de L’Opéra de Montréal, Ms. Angelo appeared as the Governess in The Turn of the Screw and Belinda in Dido and Aeneas with the Atelier, as well as the High Priestess (Aïda), Naiad (Ariadne auf Naxos) and Rose (Lakmé) on the main stage. Other appearances include Kolombine in I Musici de Montréal’s production of Salieri’s A Little Harlequinade, a guest engagement with l’Opéra d’Avignon in France, Nova Scotia Opera’s New Year’s Eve Gala and L’Opéra de Montréal’s Anniversary Gala. At the Banff Centre she sang the title role in Filumena and Anna in Frobisher by Murrell and Estacio. A semi-finalist in the Montreal Symphony Competition, she has also been singled out for awards and prizes at the Jeunes Ambassadeurs Lyriques competition, the Verviers Concours de Chants (Belgium), the Metropolitan Opera National Council Auditions, L’Opéra de Montréal, and the Nova Scotia Talent Trust. Ms. Angelo received her Bachelor of Arts in Music and Theatre from Dalhousie University and her Artist Diploma in Voice and Masters of Music in Opera Performance from the University of Toronto. Other roles include Morgana in Alcina, Despina in Così fan tutte, and Lucy in The Beggar’s Opera. In addition, Ms. Angelo has spent three summers at the Banff Centre in their Opera as Theatre residency.